WEDNESDAY, June 13, 2018 (HealthDay News) -- For years, doctors thought that giving IV fluids too quickly could trigger brain swelling in children experiencing a serious diabetes complication called ketoacidosis. But new research now suggests the treatment is safe. In four different scenarios, the rate of fluid replacement, as well as the concentration of saline (salt) in that fluid, didn't raise the risk of brain injury. "We have to get away from thinking that the cause of brain injury is overly rapid infusion of fluids, and pay attention to the clinical status of the patient and not overly restrict fluids," said senior study author Dr. Nicole Glaser. She's a professor of pediatrics in the section of endocrinology at the University of California, Davis. Diabetic ketoacidosis (DKA) occurs when insulin levels are very low, Glaser said. Insulin is a hormone that helps transport sugar from foods into the body's cells. Without insulin, cells cannot take in sugar for fuel and it builds up in the bloodstream. In the absence of enough insulin, fat is broken down for fuel instead. When the body uses fat for fuel, a byproduct of this process is ketones. A little bit of ketones is normal, and can be seen in people when they're dieting, Glaser said. But when ketone levels rise far beyond what's normal, the blood becomes highly acidic. 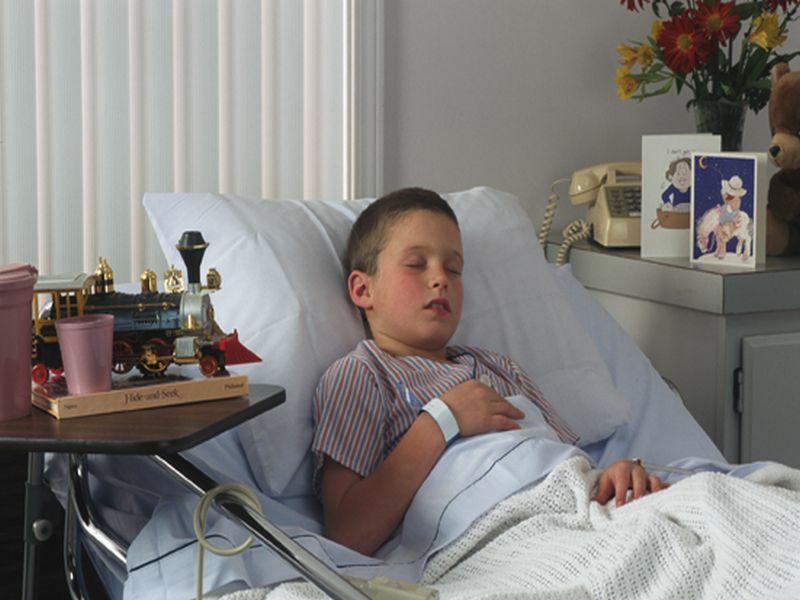 Diabetic ketoacidosis is often seen in children newly diagnosed with type 1 diabetes. That's a condition that causes the immune system to mistakenly attack healthy, insulin-producing cells in the pancreas. Someone with type 1 diabetes no longer makes enough insulin on their own, and must replace the lost insulin with injections or through the use of an insulin pump. Dr. Mark Sperling wrote an editorial that accompanied the new study. "About 20,000 children are diagnosed with type 1 diabetes every year, and of those, about one-third to one-half will have DKA," he said. Diabetic ketoacidosis can also occur when people forget to take an insulin injection, or if there's a problem with their insulin pump, Sperling noted. He's a professorial lecturer in pediatric endocrinology and diabetes at the Icahn School of Medicine at Mount Sinai, in New York City. One reason why fast fluid replacement was implicated as a potential cause of brain injury is that children who have severe DKA are very dehydrated. And kids who are more dehydrated would get more fluids, and get them faster. When doctors looked back to see what type of treatment those who ended up with brain injuries had, the one thing that stood out was the fast fluid replacement. "But this theory neglected to account for the severity of illness, and because it looked like a connection between excess fluid and brain injury, the standard treatment became fluid infusion at very low rates and quite slow," Glaser explained. The study included almost 1,300 children with diabetic ketoacidosis at 13 medical centers. The children were randomly assigned to one of four treatment regimens: a 0.9 percent saline concentration delivered at a rapid or slow rate, or 0.45 percent saline content with a rapid or slow rate of infusion. The researchers tested memory and IQ two to six months after recovery from DKA. Twelve children had brain injury during the study, and one died, according to the report. But the researchers saw no statistically significant differences between the treatment groups during treatment for diabetic ketoacidosis, or in the long-term follow-up testing of their memory and IQ scores. "In the current study, which was performed at specialized centers with specialized staff, diabetic ketoacidosis-related brain injury appears unlikely to have been caused by the composition or rate of intravenous therapy," Sperling wrote. What isn't clear now is exactly what's causing the brain injuries in children with diabetic ketoacidosis. Glaser said one theory is that DKA may cause abnormal blood flow to the brain. It's also possible that the condition somehow triggers excess inflammation in the brain. Sperling said it's important that children with DKA get care from specialized diabetes centers and doctors. However, what's really best is preventing diabetic ketoacidosis in the first place, he added. "When you raise the awareness in the community and medical profession, it can help to prevent DKA. For example, if a teacher is aware of the symptoms, she can alert parents if a child has been asking to go to the bathroom a lot," Sperling said. "The classical signs of type 1 diabetes are drinking a lot and urinating a lot. One important symptom is a child who starts wetting the bed again," he noted. If you notice these signs, ask your child's doctor to test for diabetes. The study was published in the June 14 issue of the New England Journal of Medicine. Glaser's husband, Dr. Nathan Kuppermann, also at the University of California, Davis, was the lead author of the study.